In the aftermath of widespread sexual misconduct scandals that rocked Hollywood and beyond, "Good Morning America" spoke with boys and their parents about what it means to raise good men. Now, "GMA" is continuing the conversation with girls and their parents to discuss coming of age and empowering strong women in the post #MeToo era. 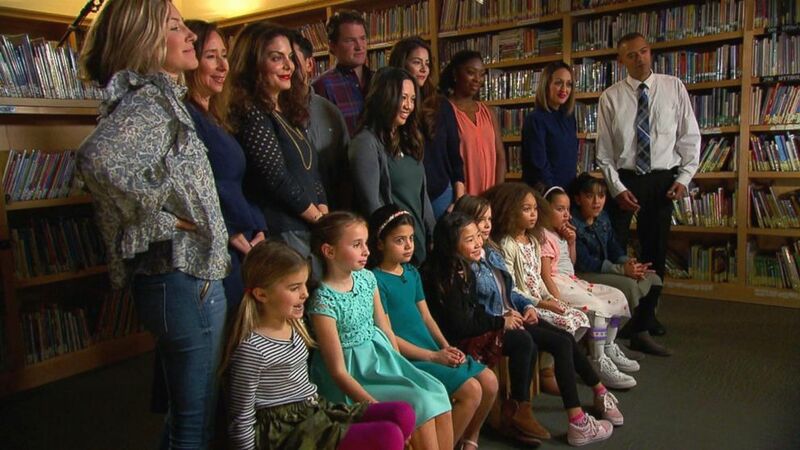 At Marin Primary and Middle School in California's Bay Area, ABC News' Deborah Roberts spoke to a group of girls between the ages of 7 and 10, whom "GMA" agreed to only identify by their first names. The young girls immediately responded with a chorus of "yeahs," when asked if they think boys and girls are "pretty much equal." "GMA" spoke with girls between the ages of 7 and 10 at Marin Primary and Middle School in California's Bay Area to discuss growing up in the post #MeToo era as part of the "Raising Good Women" series. The girls also immediately showed how aware they were of antiquated notions about gender. "For people who think boys and girls are different, I bet they would say that girls like pink, and they like to wear dresses, and they like to stay in their room and keep it clean," one child, Vivienne, 7, told ABC News. 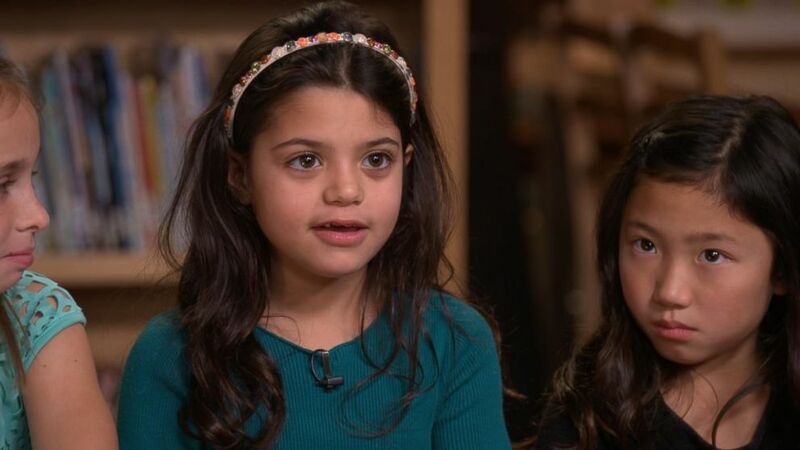 If a boy acts like he's better than a girl just because of his gender, Leila, 7, said she would respond by telling him "that I don't like what he's doing, and if he could stop it?" Alyssa, 9, put it most plainly, telling Roberts, "Girls are just the same as boys." The young girls told ABC News that they felt confident looking out for each other if they witnessed a friend being treated poorly. 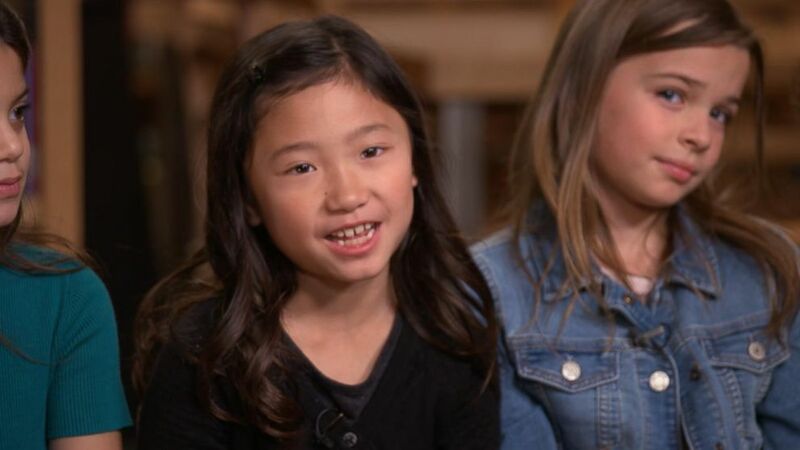 One child, Sophie, 9, said that she would stand up to someone who was being mean to her friend, saying, "I might say, 'Can you please be nicer?'" "I did it for my sister once," Sophie said. "It felt good." The girls also told Roberts that they would stick up for themselves as well, if they ever felt someone was intruding their personal space. Leila said, "I just like put my hands here and I’m like, 'Don’t cross the bubble space." When asked what they would do if they were the recipient of an unwanted hug, Ella, 8, said she would simply say "please stop." "You can say, please stop, because if you kind of give a hug to somebody, you don’t know if they have lice, and you need to take your own space," she explained. Unbeknownst to the group of girls, their parents and child psychologist Dr. David Anderson from the Child Mind Institute listened in to their responses. "When the kids mentioned lice, the parents said that was developmentally appropriate, because at some level they were happy that that was one of the biggest threats that they were thinking about," Anderson told ABC News. Anderson also noted that the girls in the group had a very clear sense that boys and girls are equal. "Boys of the same age may ... adhere a little bit more to beliefs about gender roles, or they may believe there are certain things girls can’t do, or boys are not supposed to do," Anderson added. Anderson also observed that boys were quicker to respond with physical actions when standing up for their friends, saying that when they asked if boys would stick up for a friend who was being treated poorly, "The answer was ... 'If it comes to it, you know, we may have to get physical.'" "For the girls on the panel ... you didn't get a single answer that, you know, involved going into someone else's space," he added. Though they are still children, the girls shared their ideas with Roberts about what they think it means to be a powerful woman. Leila said it means to "be strong." Milly, 8, added that she thinks it means that you "don't show off," you "just do it." "It’s not like they’re a superhero or anything," Charlotte, 10, said. "They feel good about themselves, and they’re just strong." The parents said they felt proud of how their young daughters viewed the world. "It was really wonderful to just hear the girls talk about how girls are equal to boys," Sabrina, Charlotte's mother, told ABC News. "In my day and age, if I had been interviewed, the answers would have been so across the board." Jorge, Alyssa's father, said that one of the hardest things about raising strong girls is making sure they remember "their ideals and their values they've been taught," as they grow older and become more influenced by others. Sophie's mother, Katie, added that she tries to talk about this at home with her daughter, by observing "friends that are older." "You try and point out what they might see in themselves in a few years, that they can be prepared to hopefully do different," she added. Milly's mother, Cynthia, added that she felt happy that her daughter was growing up at a time when she can feel empowered. "These girls are growing up in an era of very empowered women, and confident women," she said. "And I think that's the biggest gift we can give our girls." Anderson told ABC News that as children get older the power of parents as role models starts to fade, "and there gets to be new social pressures." "Which is exactly why we want these ideals to stay strong," he added. Anderson shared his top tips with "GMA" for how parents can help build healthy self-esteem and provide lots of avenues for young girls to develop a strong sense of identity during these critical years. 1. Get involved in after-school activities, from arts to music to sports to robotics. It’s important for any child to develop interests and passions for out-of-school activities, as this builds healthy self-esteem and social skills. 2. Build relationships with female role models. Young kids look up to so many notable figures in entertainment or movies, and it’s important to have contact with real-life role models to whose vocations, talents or qualities our kids can aspire. 3. Praise effort, kindness and perseverance, not appearance. Focus on who kids are, how they act toward others, and what they are doing, particularly in those formative years when kids are trying to figure out what is important in the adult world. 4. Model and discuss how to set boundaries and be assertive. Girls are often shaped to think that it’s best to keep everyone happy and to go along with a group, and it’s important to know when you need to advocate for your own needs or let others know that you don’t think something is OK.
5. Start discussing media messages with kids early. By the time any kid is ready to watch television shows by themselves or engage with friends on social media, we want to be sure that we’ve had lots of conversations about the kinds of messaging kids receive, the ways that interactions on TV or online are realistic or unrealistic, and strategies to help kids safely and healthily engage with media.